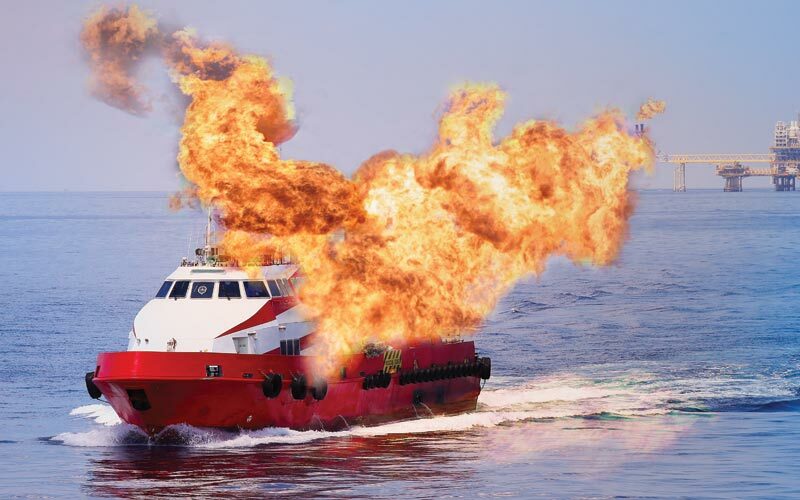 Marine Fire & Explosion Analysis | Casalinova Investigations Inc.
Based near Cleveland, Ohio Casalinova Investigations, Inc. is an award-winning firm specializing in fire investigation. Our fire consultants are here to help you when things go awry. We’ve been in business for 23 years. While based in Cleveland, we have served clients all across the United States stretching from the Midwest, Wyoming into Detroit and Columbus to the sunshine state in Tampa. Did you know that fifty-six percent of non-electrical engine fires result from failures in the cooling system, while problems in the exhaust system account for another 20 percent of non-electrical fires on boats? Did you know that wiring harnesses and starters cause a disproportionate number of fires on boats more than 25 years old? Make sure to keep up with your boat maintenance. With our base near Cleveland, Ohio and in the Midwest, we see fires that happen on many lakes and rivers. For those folks with older boats, and any boat really - it is best to keep up with your boat. Like your vehicle on the road, your boat's maintenance is just as important. Many fires originate in the engine compartment. Of course, whenever you mix fuel and an ignition source you have a higher probability of a fire occurring. Maintaining the electrical and fuel systems on your boat is the best way to be proactive and reduce the risk of a boat explosion or fire. Electrical issues cause most boat fires, with wire chafe at the top of the list. Sometimes, if an owner makes some modifications to their boat the mechanic may not have put the wires back into their right place. It’s important to check out the wires before and after. If you’re going to be the captain of the ship, it’s pertinent to know how to shut off the battery switch, main breaker and power in general. Sometimes you may be able to quickly put out a fire with a fire extinguisher but the fire may reignite. When is the last time you took your boat out on the water? If it's the first time in a long time, make sure all things are checked and you’re ready to go. After boats sit for any length of time, you should consider putting in more time readying your boat and recommissioning it for service before launch. Take some time to take your boat into a mechanic after an idle period of time. You’d hate that this could be the cause of a boat fire. You may even want to take it for a test ride before loading it up with your guests. This will give you a chance to find if there are any real problems that you need to address. The National Fire Protection Association (NFPA) recommends smoke detectors on all boats that are 26 feet or larger with sleeping areas. One of the top reasons of a fire-related fatality ashore is smoke inhalation. If you can prevent a fire you should do it. It’s not smart to get a residential smoke detector. You need a detector that is built for recreational vehicles. More than half the boat fires and explosions in 2014 involved some kind of vessel fuel, with gasoline and gasoline vapors making up the vast majority. When doing a walk-through of your boat - smell and look around for gas leaks. If your boat is left docked, it may be subject to arson. Arsonist will target valuable items such as a boat. Casalinova Investigations, Inc. has been in the fire investigation field for 23 years. We have worked day and night to serve our clients in any and every situation that we can. Our team of certified fire investigators are on call when you need them the most. From Indiana to West Virginia, fatal fires to water investigations, Casalinova Investigations, Inc. is just one call away. With fire investigators that hold certifications from National Association of Fire Investigators and the International Association of Fire Investigators, and constant education we make sure that nothing goes unnoticed. No matter what you need, our fire experts are here for you. Our phone lines are open 24/7 don't hesitate to contact us.